Building Trust is fundamental to any relationship. Trust is created by honoring the promises and the commitments made. Trust is difficult to regain once it is lost. Trust supports one aspect of the relationship of ‘what’ is committed and lived by the Brand. Trust is the fundamental building block.In addition ‘How’ the brand is experienced is equally critical. Customers take decision to choose a ‘brand’ based on the promise provided and the expectation that the promise will be fulfilled. ‘Brand’ therefore signifies the promise principle. Every Brand speaks of the Promise implicitly or explicitly. ‘Customer expectations’ are created based on this ‘Promise’. Customer Service mechanism is at the heart of understanding where you are in the customer satisfaction journey vis-à-vis the Brand Promise.Getting constant feedback and responding to the feedback is a positive way to self-correct. Such a mechanism helps the ‘Brand’ to get inputs and to channel resources to address gaps between the ‘Promise’ and the ‘Customer experience’. Irrespective of the size of the company, understanding and improving customer satisfaction is a hygiene for business, in today’s hyper-competitive environment. Are you as a ‘Brand’/‘Business’ consciously aware of the ‘Promise’ and to ‘What extent’ do you live this promise day to day ? 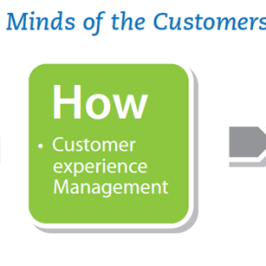 Customer Feedback Management Service on the cloud by Gladminds is simple to deploy and to understand where you are on the customer satisfaction journey.